I have been in the web industry for 15 years. I mean, I totally love anime and all things sci-fi and tech, but I just can’t get into Star Wars. I’m sorry, it just doesn’t do it for me! You can find me in my Yankee Fitted, pretty much all the time, but if I’m doing the Real Estate thing, I’ll be in a button down and suit. I just realized I have way more videos of myself then pictures. I love the internet, I love making websites and helping small business owners achieve their goals. I understand how much work it takes to run and manage a website. I’ve done it for both small and very LARGE companies. I’m a web consultant/strategist with experience in design, marketing, sales, conversion optimization, front-end development, WordPress, account management, AND relationship building. I started SureFire Web Services in 2009. When I first started, things were starting really really well, but I pulled back to focus on my family. This was in 2015 when my son was 3! He is now 7 and my youngest is 4 and I have one on the WAY (2019)! I have a huge long story and journey that I may make into a video and put it here if anyone is interested, but for the sake of not writing a multi chapter book, in 2017 my family and I landed ourselves in good ol’ Tampa Florida from NY! When I got back many things shifted. SureFire went from Agency to Website Management and Maintenance for small businesses. 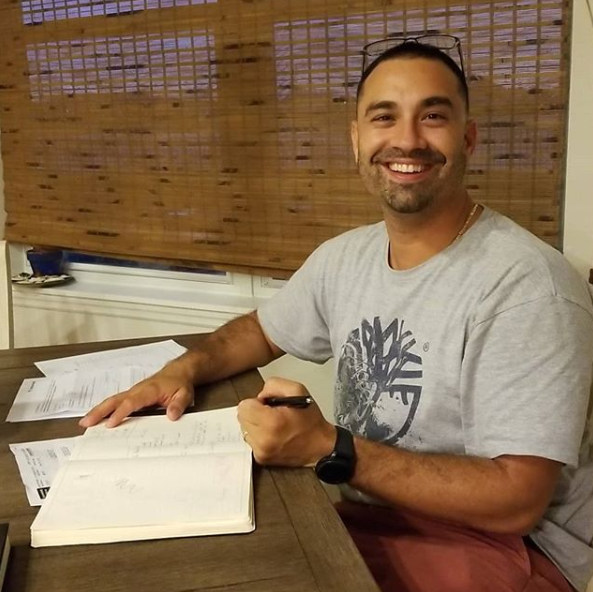 I now have an amazing collegue, Zach, whom I can rely on and a plethora of knowledge that will allow me to really focus on helping your business with ideas, consultation, execution and the like. I am a Foundation Student/Graduate of Ben Hunts Pro Web Design Course, which is where I learned the bulk of the methods I use. Since then, I’ve helped both small and large companies deliver on their website projects and goals. I’m a family man and my first baby boy was born on April 20th, 2012. It’s the best thing that ever happened in my life. I believe in Jesus Christ and thank God for everything that happens to me, because in all seriousness, I don’t know why things happen, but they do, and they’re generally always good and when I least expect it. God is awesome, and that’s the bottom line. This is my bragging paragraph 🙂 .When it comes to website projects, I used to specialize in the Genesis Framework for WordPress, and Types and Views (where I have been listed as a featured consultant), and also Beaver Builder. Being in the industry for so long, I have since shifted my focus to working with Generate Press and Elementor. I have featured resources on the StudioPress site, and created the Genesis Sandbox Starter Theme (Which I took down a while back). I’ve had many courses that I put together and sold, I white labeled my work for many companies which need to remain nameless. I’ve had a podcast and been featured on many podcasts, I can’t remember all of them but Kim Doyal’s and Lee Jacksons are a few of the highlights. I’ve consulted and contributed heavily into the web industry where a lot of users now probably use some of the things I came up with and don’t even know it. That includes some membership portals, add-ons to plugins, and even huge job sites like Monster and CareerBuilder use some things that they probably have no idea I had a hand in. The perks of working for some corporations while building my own business. Random things about me (because I know you are curious). I love watching anime and am currently watching One Piece. I haven’t found a good one recently to hold my attention. I love all types of music but I mostly listen to hip hop, primarily Christian hip hop but all other sorts as well. I also used to rap when I was younger and have a cd out. I’ll consider myself a nerd, but I don’t like Star Wars and Big Bang Theory, so other nerds usually get mad at me. I keep saying I’m going to get back into music, but I never do. But I will. I try to stay positive as much as I can, even when things aren’t great. I know God knows what he’s doing, and my faith grows much stronger because of it. I can’t sing the alphabet without yawning. I watch Sesame Street with my son, and when he falls asleep, I still watch Sesame Street. But now, both of my kids are into Mario and Sonic Cartoons. Meh.